The Red Hot Chili Peppers are using their upcoming shows in Australia to throw their support behind an anti-whaling campaign. The band is set to headline the multi-venue Big Day Out festival Down Under and they will dedicate their performances to the Sea Shepherd Conservation Society. The rockers will incorporate Sea Shepherd digital visuals into their set and host a stall at each of the venues to provide festival goers with information about the group's campaigns, which include anti-whaling missions and marine conservation. Sea Shepherd representative Omar Todd writes in a post on Twitter.com, "Exciting News! SSCS (Sea Shepherd Conservation Society) are joining the Red Hot Chilli Peppers at Big Day Out 2013!" 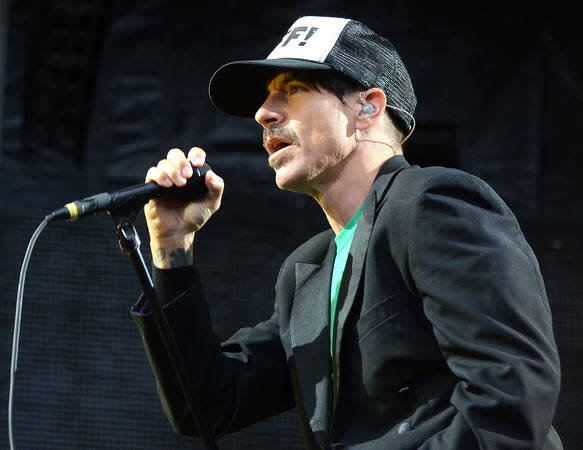 The Red Hot Chili Peppers, who are longtime supporters of the organisation, will play Big Day Out shows in Sydney, Gold Coast, Adelaide, Melbourne and Perth. The festival kicks off in Sydney on Friday.